If you recently graduated from college and are relatively new to the workforce, it can be hard to understand the professional world immediately. There are so many unwritten rules, and often, you don’t really have anyone to guide you through these rules, until, that is, you make a mistake and learn the hard way. Of course, most rules of the professional world are common sense, but, as someone who has worked in several different kinds of corporate environment, I was pretty shocked by how often common sense was not heeded, particularly those who had just graduated from college. 1. Discussing politics and religion. Personally, I think it’s important to discuss important matters like politics and religion, especially if it can be done civilly. But things get hairy when you discuss these big topics in the workplace. The reason you should avoid it altogether has nothing to do with the company suppressing your expression of opinion. It’s because politics and religion are sensitive topics, and people can get hurt or angry very quickly if you say something that crosses them the wrong way. Not only will you create a tense work environment, but you could get in trouble with HR. 2. Using company time and property for personal use. Of course, you think—everyone does it. And this is truer of some workplaces than others. The problem with using a company computer to write love notes to your significant other, to shop online, to download music, is that you leave a digital trail. Even if your company doesn’t care about it now, they’ve got grist for the mill if you happen to get into trouble for something else. Say your supervisor reports to her superior that you aren’t doing enough work, and say that isn’t true. All that your employer needs to do is look through your activity to see that you’ve doing personal things on company time, and you end up looking really bad. More than anything, however, it’s just wrong. Don’t waste the company’s time and money by doing things you can easily do at home or during your lunch break. 3. Speaking ill of colleagues or supervisors, whether through chat, email, or in person. It’s so easy to say mean things about colleagues and supervisors that it’s not even funny. I’ve done it often, and I deeply regret it. First of all, I’ve never encountered a workplace, no matter how big or small, in which gossip doesn’t spread like wildfire. If you say something bad about your boss, it will get to your boss the same day, the next day, or the week after. If you do it in writing, you’ll have concrete, damnable evidence against you. More than anything, though, you’ll end up causing someone else pain. Use the golden rule—treat others as you would like to be treated– in the workplace and you’ll likely not need to read this article at all. If you absolutely feel the need to vent about your boss or coworkers, tell family and friends who don’t know the people you work with. As I mentioned earlier, all these rules seem like common sense. 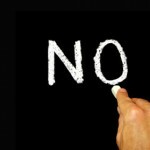 But when you’re in a situation in which you find yourself tempted to do these “no-no’s,” sometimes common sense just goes out the window. Be careful, be kind, and be respectful. It’ll take you far in your career. Good luck! After spending several years in the corporate world, Nancy Wood is now a freelance writer and blogger. She enjoys giving young people advice about college and their future careers. You can find more of her writing at OnlineCollegeClasses.com. Nancy welcoems your comments below. Hi, I am Samantha Adams from South East Missouri State University. 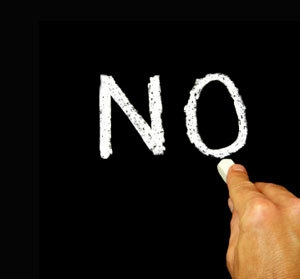 After reading your Workplace no no’s for young professionals article it raised some questions of my own. The third no no you listed was not speaking ill of colleges or supervisors that is what raised my question. I believe firmly in the golden rule as you wrote about, but is there ever a time to speak up about a coworker if they are not doing their job day after day, misusing the companies property, or treating other colleges poorly to the point where it is inappropriate? No one wants to be a tattle tail of course we are not in preschool anymore, but if it is affecting the entire staff and the company is it okay to do so? If so, how is the best way to bring it up to the boss or supervisor without it putting you in a bad light? Samantha: Good question. The third point refers to unproductive criticism to everyone in general. If you become aware of improper activity by a co-worker, it is your responsibility to report it directly to your supervisor or your human resources manager. Do so in a constructive, matter-of-fact way and keep the information to yourself rather than share with co-workers. Hello, my name is Alex Stone also from Southeast Missouri State University. This article was very insightful and made me realize that I have been doing things right throughout my previous jobs prior to graduation. I do have a question though. How do you figure out when revealing too much about yourself is inappropriate in the professional work place? I mean, I have had jobs before but most of them have been pretty casual and relaxed. I guess a good way would be to feel the person out and decide whether you feel comfortable sharing things with them? Simple rule of thumb: Don’t “reveal” anything about yourself that you wouldn’t feel comfortable discussing with your mother.